I’ll make no apologies for what I am about to say. The British lobster is superior to its cousins abroad. We may not have Wahoo or Snappers but our local blue lobster hammers the Maine Lobster and the Cray into the scampi league. 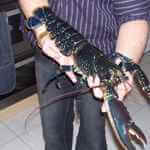 North Atlantic Lobsters living in the cold murky water around the UK are a true prize. A freediver catching a lobster over a couple of pounds has achieved a serious feat. For these are feisty, wary and inaccessible critters. Despite the efforts to catch them, if you get a lobster out of its hole… turn it over. If it has black eggs underneath… it has gotta go back. Take a pic or two but let her go. That’s the next generation of these amazing bugs right there, and nobody should take a lobster ‘in berry’ home. It is illegal to shoot lobsters by the way! All year. The best months are May to October, with a short run of large females inshore in January and February. All round the coast. They love one thing more than anything though… wrecks. Not easy! Not easy at all. The lobster live in inaccessible spots. They spend hours choosing the most defensible, escapable lairs. As a freediver on a single breath we have scant chance of catching one. Or do we? Lobsters, despite their fast reverse speed, vicious claws and wary nature have one character defect we can exploit. They are extremely curious. On spotting a lobster in a crevice or hole… back off immediately. Return to the surface and take a maximum breathe up. Your best chance is your first chance. Drop to the seabed to the side of the lobster. Tapping and rustling up the seabed in front of the hole will likely set the lobster coming to the front of the hole and sticking its feelers out to see what is happening. 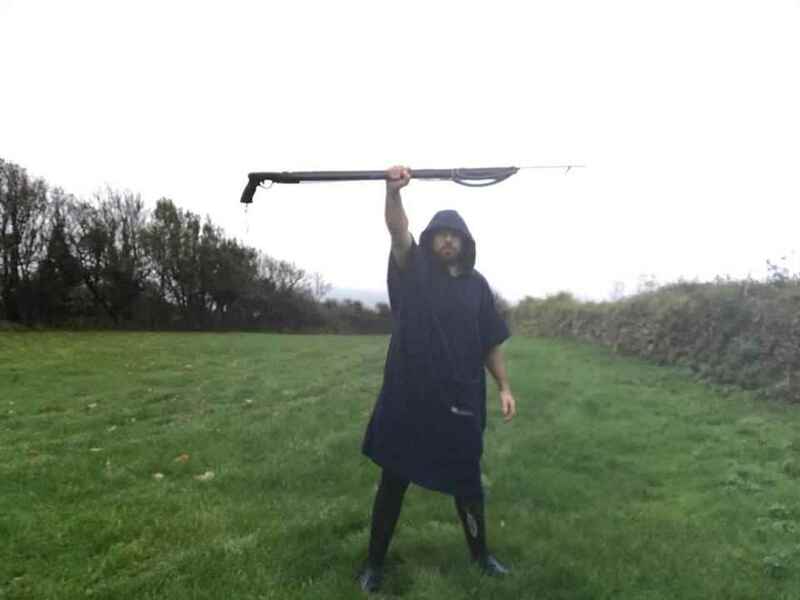 Now is the time to quietly and slowly slide your speargun behind the beast. Sensing movement on the flank, the bug will turn and try to feel the potential threat with its feelers. On touching the gun it will likely rotate to face the threat… i.e. its back is now facing out of the hole. Gently move the gun towards the lobster and it will retreat out of its hole into the open. Now act fast, drop your gun if you need to, and chase it down. Lobsters can manage bursts of backwards speed, and you must complete the task on one breath or it will hide and you will never find it. Aim to grab the bug where the carapace meets the tail. It cant get you there! Titus Bradley with an 11 pound Portland Lobster caught in the wreck of the Himalaya… 12m under plates. N/R. You can’t put a numerical score on a Portland Lobster. It is illegal to spear lobster. You may use your gun in the way described above.